Not your average cookie-cutter apartments that you find throughout Brooklyn and Manhattan. Our apartments are built to enjoy the sun, outdoors and are spacious enough to raise a family. We have 4 floor-through 2 bedroom apartments in this building and our prime penthouse, which features 2 bedrooms/ 3converted. Every apartment features an open kitchen, stainless Steel Appliances, Microwave, Oversized windows and jacuzzi bathtubs. An Home Office is also suitable in each apartment through the open layout. Every floor has a private outdoor space to get away from the hectic city and relax. Our shared Zen Garden is very popular and features a Japanese waterfall. The nearest Subway station is the the Marcy Ave stop on the J-M-Z train. It is the first stop in Williamsburg on these trains. Four blocks away is the ferry dock located that takes you to Manhattan in 15-20min. "A hidden gem in Brooklyn with modern amenities, an amazing garden, and apartment living where the tenants and landlord are courteous and respectful. Not only is the landlord prompt with taking care of any issues, he and his team always give advanced notice of visits and keep you up to date on any maintenance issues." 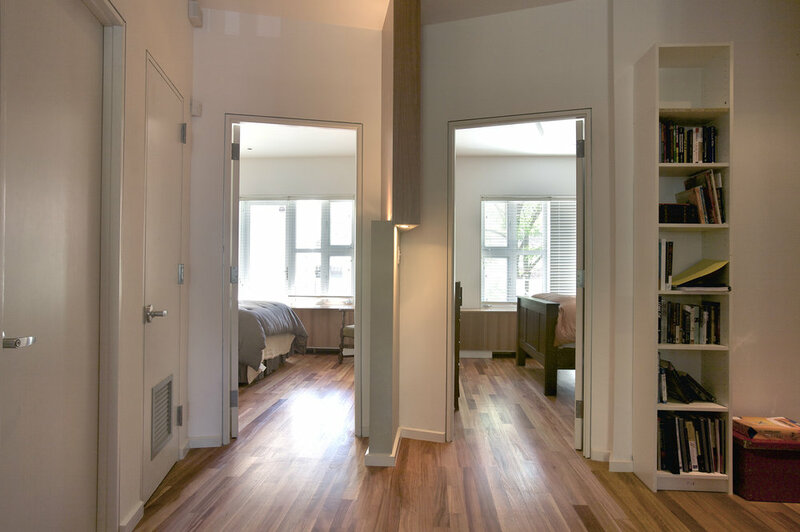 "I lived at 188 S 8th Street for over 3 years and they were blissful. The beautiful zen garden sets a relaxing tone and would welcome anyone home." Make your home your Getaway at 188!